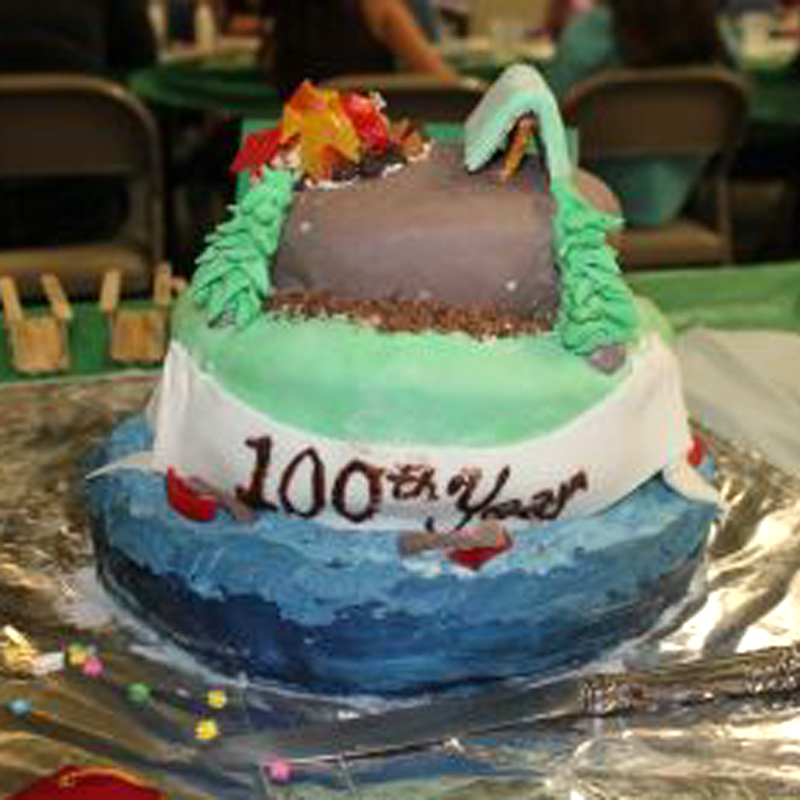 The Girl Scouts of America turned 100 years old on Monday, March 12 and the Santa Clarita Valley office joined in the celebration with refreshments and spirited fellowship. 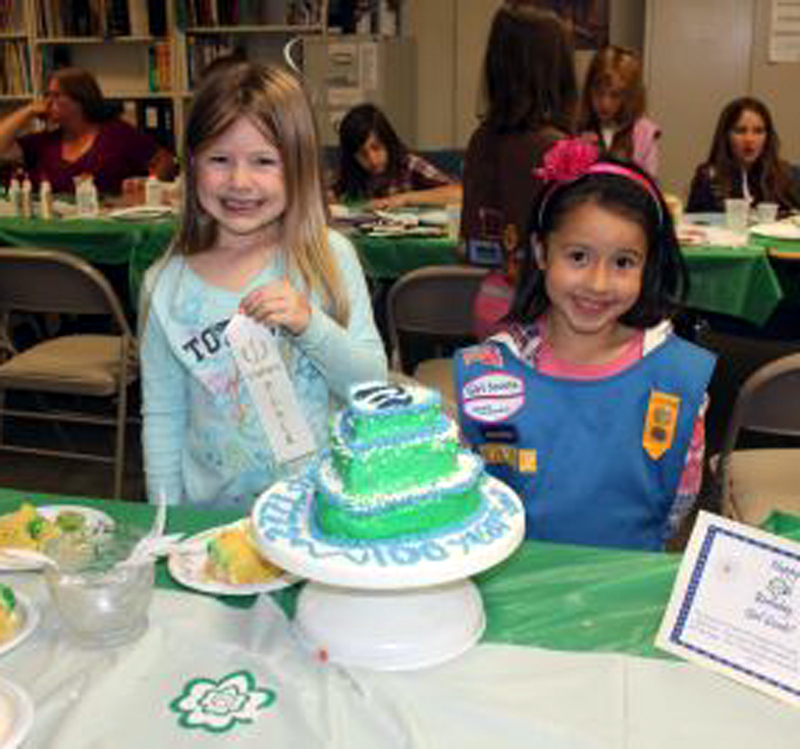 At 7:12 p.m., the time when the first-ever Girl Scout meeting was held a century before, the party started at the Girl Scout local office on Soledad Canyon Road, complete with cakes made by various troops to commemorate the occasion. 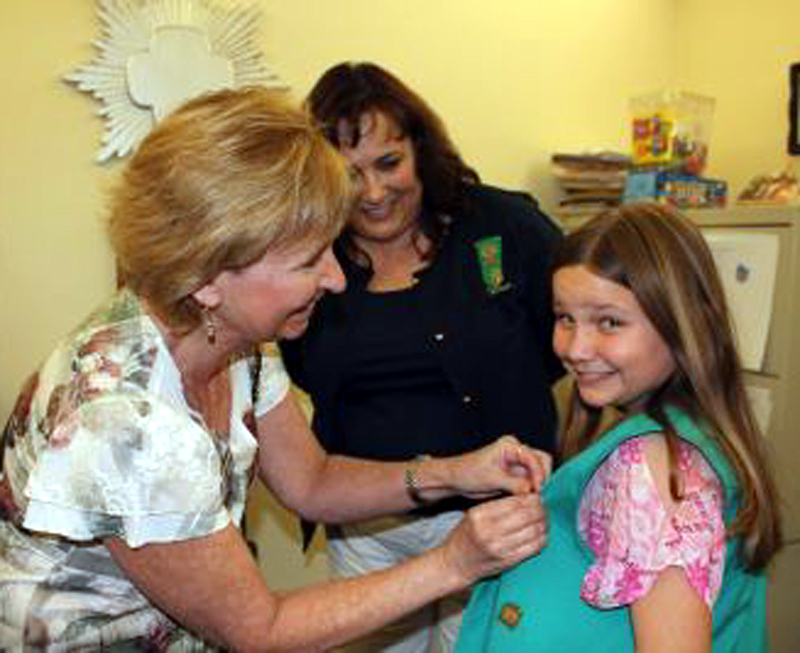 A special pinning ceremony was part of the celebration, as Katie Tarantini, who spent a good part of last Saturday volunteering at the SCV Food Pantry, earned her Bronze Award, the highest award a Junior Girl Scout can earn. She was pinned by Girl Scout official Robin Ewing.